Tuesday 10th of June Councillor Avtar Sandhu MBE travelled to the North West Kent Volunteer Centre AGM to hear the yearly report, and of the work of the volunteers within Dartford. The Mayor attended a dinner at the County Hall raising funds 4 Kent WildLife & Blackthorn Trust on the 10th of June. At 6am on Wednesday the 11th of June the mayor attended a BNI meeting and golf tournament as a way to raise charitable funds. The mayor attended the Craylands School in Swanscombe on the 11th of June for a borough society talk, as well as meet and speak to the school council. On the 11th of June Councillor Avtar Sandhu MBE attended the Home Gardens to Austen Allen Homecare, to celebrate National Carers' Week. 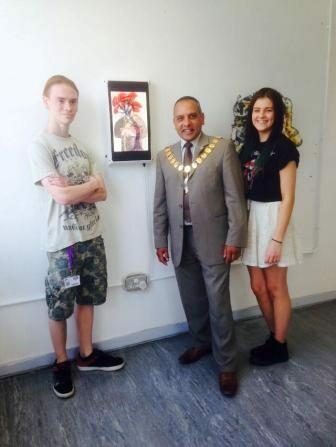 On the 13th of June, the mayor was invited to attend the North West Kent Art Exhibition, displaying the talent of the college through paintings, dress making and 3D designing. The mayor opened the Family Fun Day held by Fleetdown United Football Club on the 14th of June. On the 14th of June to mayor opened a second event, the St Vincent's Church Fete.